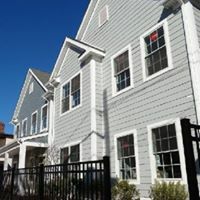 Triple C brings affordable housing opportunities complimented by supportive services to individuals and families impacted by a disability, who are experiencing homelessness or long term hospitalization. In addition, Triple C supports individuals and families impacted by Superstorm Sandy and Veterans in recovery. The supportive services are provided in the home and community at large, and focus on wellness and recovery to achieve positive outcomes in overall health, self sufficiency housing and stability. Services are flexible and strengths based to meet the unique needs of persons served and are established collaboratively with each service recipient. For over 38 years, Triple C has supported the most vulnerable individuals and families break the cycle of homelessness or institutionalization by developing high quality affordable housing and providing exceptional care. 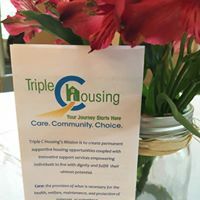 Triple C is a well-founded, grass-roots organization that has helped to make the dream of living independently with dignity become a reality for those they serve throughout Middlesex, Monmouth and Ocean counties. 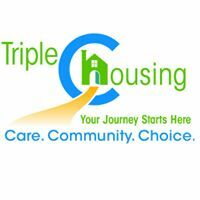 Are you familiar with Triple C Housing Inc? Help FreeRehabCenters.org users find out answers.